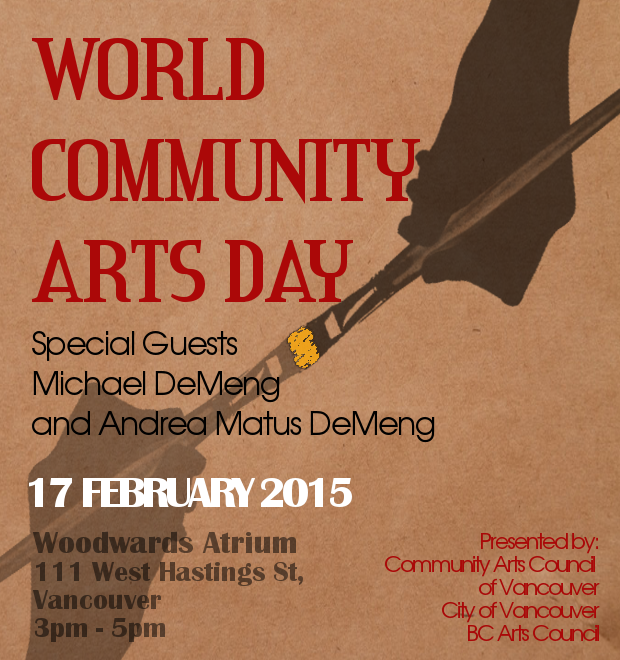 Celebrate World Community Arts Day with us! Local artists Michael DeMeng and Andrea Matus DeMeng, creators of the viral Art Abandonment movement will be talking about their journey with movement. Experience what Art Abandonment is about and how a simple act of abandoning art in public spaces can bring joy to others.